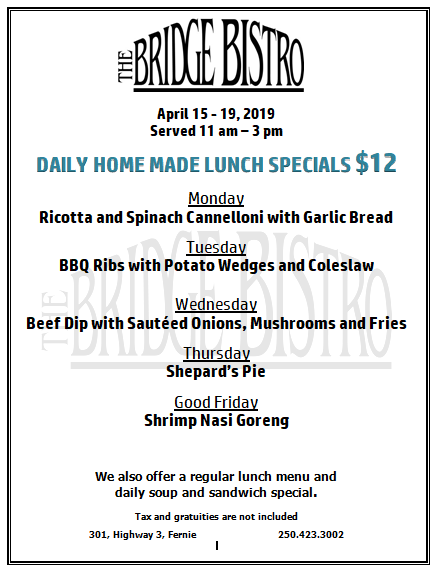 Come and enjoy our daily lunch specials this week. Breakfast is served daily until 1 pm, except on Sunday, when we are setting up the best brunch in town. Call to reserve your spot, 250-423-3002.